This entry was posted on September 3, 2010 by Sarah. The September issue of A.I.M. Artisans in Miniature is out now. 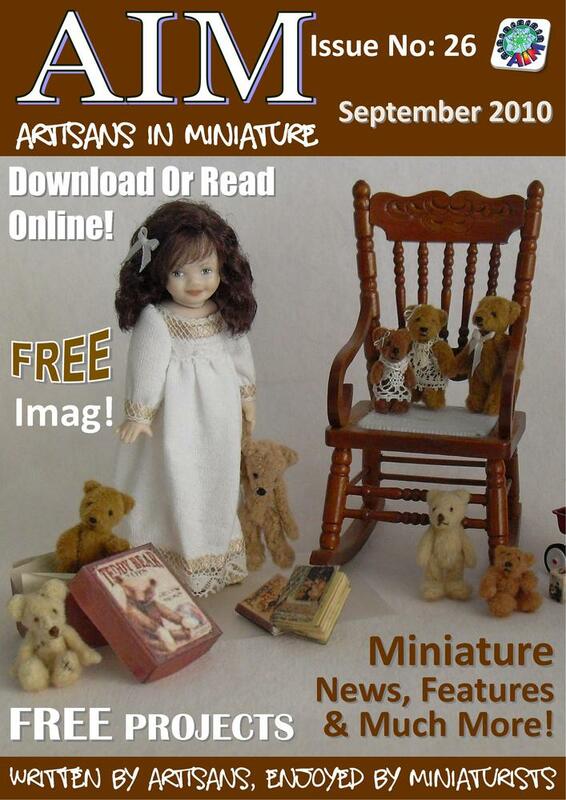 Its well worth a look its crammed full of projects and articles about artisans and their crafts. My week so far has not been too good my pasta machine has broken again. the clay just keeps circling its gets stuck to the rollers. I am sure its less than a year old but I cannot bring myself to send it back to the manufacturer as I have not exactly been rolling pasta with it LOL. I think they would find traces of clay and get suspicious. Well I have invested in a Makins clay rolling machine from The Craftmill based in the UK. The only place I could find selling them in the UK. So I am patiently awaiting its arrival.